A comprehensive Exhibition will run concurrently with the FIG Congress, from 17-19 June 2014 at the Kuala Lumpur Convention Centre, level 3 (see Floor Plan). This Exhibition will showcase the latest and best in Surveying and Spatial products and services and will be the largest of its kind in the Asia Pacific Region in 2014. Organisations from within FIG Corporate Membership as well as others representing spatial technologies and services industries and businesses; professional services industries and businesses; construction technologies, management and services industries and businesses; building information, automation and services industries; building technology and materials industries; mobile communication services; property development and services industry; financial services industry and businesses; together with organization and businesses that are allied, complementing or peripheral to the profession are invited to sponsor, participate and display their products and services at FIG 2014. Exhibitors will be offered various Sponsoring Packages and Exhibition Options. We encourage you to take an active part in this international gathering and secure your place as a sponsor and exhibitor. The trade exhibition offers organisations exposure to Congress delegates and the opportunity to showcase their products and services. The exhibition area has been designed to provide the best possible promotional opportunities to participating organisations. You may wish to note that the parallel technical (conference) programme within FIG 2014 will be held almost entirely on the same level at the Kuala Lumpur Convention Centre. The Exhibition will provide delegates and exhibitors with excellent opportunities to network in a favorable environment that provides a central and energized meeting place for all participants. With morning/afternoon refreshment and lunch breaks being served in this area it will create an unparalleled opportunity to promote your products and services to the diverse delegate base. The exhibition will be located at the Grand Ballroom (Hall I) and Banquet Hall (Hall II), Level 3 of Kuala Lumpur Convention Centre. Exhibitors will be provided with a link to an online registration form in order to apply for their complimentary and additional exhibitor staff passes. Attendance to sessions is not included in the exhibitor pass. Staff wishing to attend sessions must register as a Congress Delegate and pay the appropriate registration fee. Please refer to the registration. Exhibitors will be offered a series of packages to assist you in maximising your marketing message and presence within the exhibition. 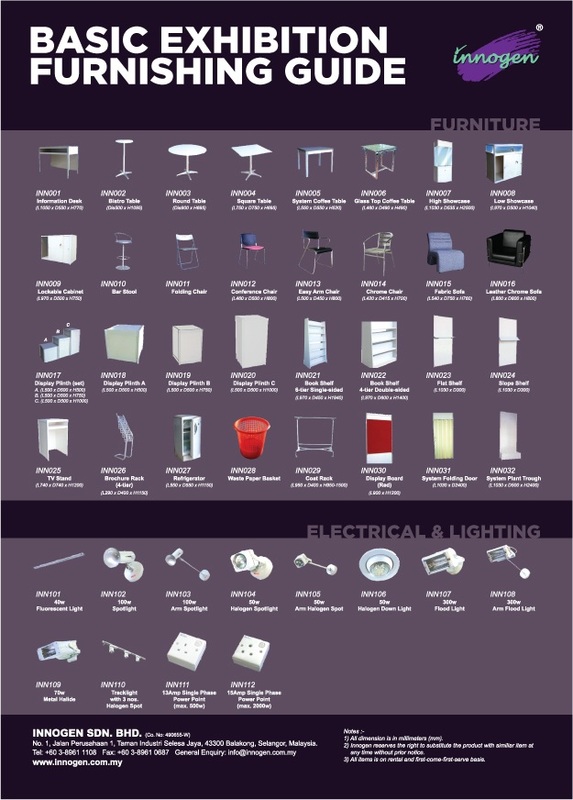 Please find a basic exhibition furnishing guide here. Book a banner over your booth!!! Advertise your company logo or products on Overhead Hanging Banner (Double Sided). The banners will be located at the Exhibition Halls, please see the banner plan. The banners will be printed by Innogen using inkjet plotter. An area, Bunga Raya Platform, will be allocated within the exhibition for Technical/Product Presentation and Briefing or Launching. Here you have the opportunity to promote your products/services and share information at a global level thus increase brand awareness and develop new markets as well as gaining exposure to international knowledge and professional development. 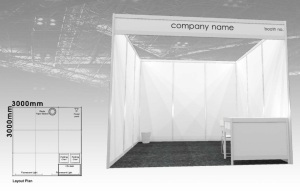 Sponsors have priority over exhibitors with respect to the booking of booths, technical/product presentation sessions at the Bunga Raya Platform as well as Overhead Hanging Banners.